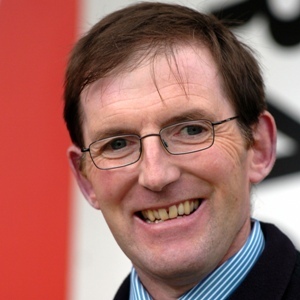 James Fanshawe worked as assistant trainer to famous jumps handler David Nicholson and multiple champion Flat trainer Sir Michael Stoute in Newmarket before taking a licence out in his own right. Based at Pegasus Stables in Newmarket, he trained his first winner when the Sheikh Mohammed-owned Black Sapphire scored in a Salisbury maiden on 8 May 1990. He has since gone on to enjoy a plethora of big race wins, including the Coral-Eclipse Stakes with Environment Friend, the Irish St Leger with Arctic Owl, and the Darley July Cup with Frizzante. Other Group 1 winners include Invermark, who triumphed in the Prix du Cadran at Longchamp, and the Elite Racing Club-owned Soviet Song, who won the Falmouth Stakes (twice), the Sussex Stakes and the Matron Stakes for her legion of adoring supporters. Despite having only a handful of jumpers, he has managed to win the Champion Hurdle twice – with Royal Gait in 1992 and Hors La Loi III 10 years later. He enjoyed a marvellous day at Royal Ascot in June 2011, taking the Wokingham Handicap with Deacon Blues and the Group 1 Golden Jubilee Stakes, the third race in the Sprint division of the QIPCO British Champions Series, with Society Rock. Deacon Blues returned to Ascot on October 15 2011 for the inaugural QIPCO British Champions Day and confirmed his liking for the Berkshire venue when taking the QIPCO British Champions Sprint Stakes. In 2012 Society Rock landed Fanshawe a third Series sprint victory when storming to victory in the Betfred Sprint Cup at Haydock Park in September, while High Jinx was runner-up in two Long Distance races. The Tin Man proved a force for him in 2016 and landed the QIPCO British Champions Sprint Stakes, and the same horse landed the Diamond Jubilee Stakes at Royal Ascot in 2017.